The Verizon Samsung Galaxy Tab 2.7.0 receiving an unlocked bootloader. The XDA Senior Member MrHyde03 have successfully ported CWM to his android device. Please make a note that it is not an official release, nor it is built from source. It is still on the working stage. The current version available is 6.0.1.2 which is only a few increments from the latest version available from ClockworkMod. 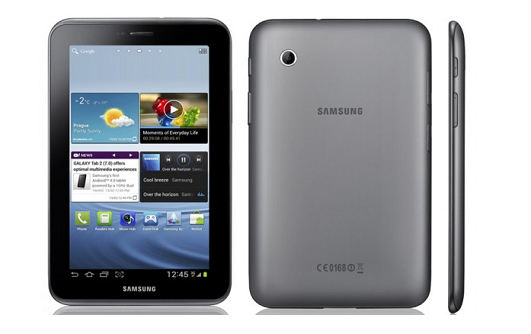 If you have a Verizon Samsung Galaxy Tab 2.7.0 and want to get a custom ROM onto your device you can make use of this tutorial. Just confirmed whether you have followed the all above mentioned instructions properly. Before start to flash you must rooted your device. So, once you have rooted then download the ClockworkMod 6.0.1.2 from here to your computer. Once you have downloaded then copy the same to the root of your SD Card. From Terminal emulator or ADB do the following instructions. IMPORTANT : Once you got custom, never accept on OTA! Verizon released an OTA for the SCH-I705 that makes changes to recovery, boot, and aboot, this will most likely break your root and unlocked bootloader! so please do not accept the OTA. If you want to return to stock recovery then follow the same procedure above, except flash this recovery instead of the CWM recovery.